Lacy Boggs joins Kira and Rob to talk about creating a distinctive brand voice for her own business as well as her clients, what kinds of projects she takes on (and how she prices them), the impact creating courses and other content has had on her business and the advice she would give to just-starting-out Lacy about copywriting and building a business. Lacy is an expert content creator. This episode is jammed full of great advice and helpful tips that other writers should pay close attention to. Kira: What if you could hang out with really talented copywriters and other experts, ask them about their successes and failures, their work processes and their habits, then steal an idea or two to inspire your own work? That’s what Rob and I try to do every week at The Copywriter Club Podcast. Rob: You’re invited to join the club for episode 16 as we chat with copywriter and secret agency, Lacy Boggs, about telling a good story, creating a unique brand voice for her business, being an authority and her secrets for improving her own writing skills. Kira: Hey, Rob. Hey, Lacy. Thanks for being here, Lacy. Lacy: Yeah, I do love being introduced as a secret agent. That’s pretty fun. Rob: You are a secret agent, or at least that’s what we’d be lead to believe on your own website. Lacy: That’s right. That’s right. Rob: In fact, that’s sort of my first question for you. You’ve got such a unique brand voice. It comes out so clearly on your website. Tell us a little bit about that. Lacy: Sure, yeah. That was an interesting process I went through about two years ago now. I worked with Sarah Ancalmo of Public Persona for that and she was a client of mine first and then I told her, “Yeah, I need you.” Then I worked with her to get my branding down. It was a really interesting process. I have so much respect for her because she is … She goes really in depth, you know? It’s a really interesting process to go through, but while we were going through what she calls privé which is the first part of her process, this idea kept coming up that I was going undercover or that I was pretending to be other people. I have a degree in film. I love film noir. I love fiction and reading mysteries and stuff. It evolved from there that … I remember asking her, “Is this weird? Can I do this? Is this too over the top?” We didn’t want to be kitschy with it, but at the same time it was so much fun. It felt so good. It felt real. It felt like where I was supposed to be. Anyway, it was an interesting process to get there. Kira: How has your brand changed your business and even your life? I know we chatted about this a bit and I’ve worked with Sarah as well and just the impact that a new brand can make. Even on the way that you style your hair, right? Kira: It just changes everything. Can you share any numbers, business numbers, or just any changes in your person life? Lacy: Yeah. One thing that Sarah says during the process is that you’re branding yourself for the business you want to have in five years, not the business you have right now. It’s very forward-looking. Part of the process was for me to define who would be my ideal customer if I were thinking bigger. This was two years ago, but five years out, who do I want to be working with? What do I want to be doing? Where do I want to be? Putting that costume on, right? I’m five years more successful and what was fascinating was was within a month of launching that new website, I had one of the people that had literally been on my dream list contact me and I’ve been working for her ever since. Lacy: Yeah, it was magic. It was really strange. It up leveled my business almost instantly. My list has grown exponentially. I’m trying to think exact numbers. I didn’t pull these for you before I got on, but I believe the first year I had my brand, my list doubled just organically. I didn’t do anything very strategic to do that and then this past year I tripled it again and that was more strategic. That took a lot more effort. It definitely has helped me play bigger and step into that role that we pictured as who I am five years out. Yeah, actually it did help me define my personal style. I started wearing red lipstick more often and you know, how I style my hair changed a little because it felt so natural. It was really interesting. Lacy: For sure. For sure, yeah. Rob: All that sort of stuff. I’m really fascinated with the brand that you’ve created. Both you and Kira have really strong brands and it seems like the kind of thing that a lot of writers really shy away from. I’m probably one of them where we help our customers, our clients create good brands and sometimes even fantastic brands, but it’s the case of the shoemakers children have no shoes. We have these boring websites ourselves and both you, Lacy, and Kira have done a really good job in creating a very visually interesting as well as tonally interesting. What does it take to create a tone of voice for a brand? Lacy: Yeah, I will say that before I did this rebrand, my URL and my whole brand… I called myself the Ghost Blogger and I was literally… There was no picture of me on the website. I had a stock illustration I had purchased of a girl with glasses. That’s how bad it was. There was no picture of me at all. I was so behind the scenes. It took a lot of coaching to get me to be excited about plastering my face all over my website. Yeah, I think voice is one of those things I didn’t realize until I really got deep into this business that I have a natural talent for. I think I didn’t realize it because it did come naturally to me so I didn’t realize it was something that other people couldn’t do, pretend to be someone else. For me, a lot of times when I’m working with a client or even my own brand, finding that voice is all about finding the hook and once you find the hook everything else comes much more easily. For me, it’s the secret agent thing. That influences everything from how I name my courses to how I write my blog posts to my tweets to everything. Once I found that hook and how I wanted to be in the world in that brand, everything else comes a lot more easily and I find that’s true with my clients as well. Once we get really clear on whatever that brand hook might be, everything else falls into place. Kira: Lacy, it feels like from an outside perspective, that you are an authority figure in the online world and in copywriting. I know, part of it, you were talking about the branding and that played a role in it, but also you’ve done a lot of work. You’ve created courses. You’ve created products. You’ve probably had partnerships. How can copywriters that are listening really step into that role as the influence or authority, whatever you want to call it, in a crowded space? Lacy: Boy, I wish I had a good answer for that. I honestly don’t feel like an influencer. I still feel like a small fish in a big pond, but it is nice to hear other people say that because it means that I’m doing something right, that my message is getting out there. I think my best advice would be that you need to have a unique angle on what you’re talking about. I hear that from bloggers all the time that they worry that it’s all been said before or they’re in a crowded niche so they don’t know what to talk about because there are bigger experts than them or more famous people and they feel like it’s all been said, it’s all been done. I don’t believe that’s true. I mean, maybe it’s all been said and done, but it hasn’t been said and done by you. That’s true of copywriters and your clients. That’s where I’m saying something a little different than the rest of the crowd and I think that might be what makes me stand out. Rob: Lacy, you’re an expert at content creation. You’ve got a course on blogging. You ghostwrite a lot of stuff for your clients. Tell us a little a bit about your process. How do you initially engage with clients? What does the onboarding process look like? What do you do before you start writing? Lacy: Yeah, for my one-on-one clients, they all go through the voice process that I’ve outlined where I start by interviewing them. I come from a journalism background and so interviewing’s comes naturally to me. We usually get on the phone for about an hour and I have a whole range of questions I ask. Everything from the standard, “Who are your ideal clients? What are you selling?” questions all the way through to I ask, “What would your theme song be? What’s your favorite color? Who are your favorite celebrities? Tell me about your personal style,” because all those things influence who that person is and what their voice is. Beyond that, beyond their answers, just listening to them talk for an hour or so gives me a really good idea of how they write or how they would write if they were writing in their own voice, which a lot of times they’re not. It tells me, “Do they swear? Do they use a lot of colloquialisms? Are they very polished and proper? Are they all over the place? Do they tell jokes? Are they punny?” All those things influence how I’m going to write for them. That’s the first process and then I distill it into what I call Code Book, which is a voice style guide, brand voice style guide, which they then get to keep and then we just go for it. Depending on what the project is, they may fill out specific questionnaires. If it’s a sales page, I need to know a lot more details about the product or whatever it might or if it’s a homepage. Things like that. About page. I have different questionnaires to get into it. If it’s a blog retainer we’re going into, we just go from there about talking about what’s the strategy. What’s the end goal? Where do you want to go? Why are we doing this? Are we selling something? Are we promoting something? Then we come up with topics and go from there. Rob: You mentioned the Code Book that you create. I’m really interested in what that is, what it includes, what it looks like. Is it a designed piece? Is it just a copy doc and what is that? Lacy: Yeah, yeah. It’s minimally designed. It’s in Google Docs, but I’ve put a little effort into it. I’m not a designer though. Yeah, it’s more about just their brand voice. I don’t go into your logos, your fonts, things like that. People can add that obviously, but it talks a lot about … The first part is like, “What are the official names? What are the official taglines? What there certain phrases we use?” Then it goes into … I like to define their tone. Is it very personal? Do we say ‘I’? Do we say ‘we’? Is it funny? Is it more corporate? Where does it fall on that spectrum? Then we have both the phrases to use, things they like to say. Every brand has those phrases that we coin around what we do and what we say. I make a list of those and then I also have a black list of things … If there’s something they never say or they wouldn’t … Usually in blogging, the first couple of posts, I really ask them to call me out if there are phrases, they’re like, “Yeah, I wouldn’t say that,” and that helps me understand that black list a little better. Then for their own purposes at the end I have a thing about social media, like what hashtags do we use? How do we post on social media? Things like that so that they can really use it with other team members as well. It’s a document that they can take and, if they have somebody doing social media or if they have somebody else writing something for them, they can use it as a team document as well. Kira: I want to ask you a bunch of questions all in one. Kira: I’ll try to pull out one or two, but I really want to know how you structured your business. You’re an agency so you have a team. How many people are on your team and what type of jobs do you take as a team? I know you have courses and products and then retainer clients. Can you just give us some background on how you’ve built the business? Lacy: Yeah, yeah, as it stands right now, there’s two sides to the business. There’s the done for you agency side and then there’s the DIY learning and courses side. When I started out, I was just doing one-on-one work and I realized though that I was … When I was writing my own blog, I had a lot to say, I had a lot of opinions, but the people that wanted to hire me to blog for them probably didn’t care. I was blogging to an audience that I wasn’t selling to and I thought, “Well, the easiest thing to do then is … I’ve been able to build this small, at the time, audience. I can sell something to them.” That’s when I started creating minimum viable products to sell to the DIY crowd because not everybody’s interested in outsourcing their blog writing for many different reasons. It made sense to be speaking to both audiences, but on the agency side it’s me and two subcontractor writers. For the most part, we only take on blogging retainer clients. I take on a very limited number of other copywriting clients, basically just as a partnership with Sarah Ancalmo. If people work with her on their brand, I’m one of her recommended copywriters. If it works out for everybody involved, sometimes I’ll take on website copy or sales page copy through her. The reason I do that is I’ve found a lot of people coming to me who really weren’t ready. They hadn’t done the branding work. Not even branding so much, but they really hadn’t done the business coaching work, the business model work, and those were always the clients who ended up unhappy because they didn’t really know what they wanted and so I couldn’t give it to ‘em. Rather than adding something to my business where I was business coaching, which I do not feel qualified to do, I decided I would only take pre-qualified people for that kind of copywriting who had already gone through a process to really define what they wanted so that then I could give it to ‘em. If that makes sense. Kira: No, that makes complete sense. I feel like those are the people I’ve struggled with and I have moved away from web copy because I was working with a bunch of those clients who just didn’t quite know what they wanted. It made the job really tricky. Lacy: Yeah, yeah. It’s difficult to give somebody what they want when they don’t know. Rob: Lacy, you mentioned you really got two different kind of clients, these retainer clients and these one-offs. How do you approach a project and price it? If it were to hire you to write blog posts for me or some other kind of a project, what is your process for identifying, “Hey, this is something worth my while,” first of all, and second of all, “This is what I charge”? If you don’t mind, share with us, what are those pricing ranges for you? That’s the basics. Some people want more. And that’s for a blog post that ranges between 500 and, say, 1,500 words. I don’t put a real hard cap on it, but I like to give clients a range so that they understand these are not like the epic, 3,000-word blog posts that you’re getting four of for $800 dollars a month. These are more like short, weekly blogs. If they want something more, prices go up from there and that’s for me or for my subcontractors at this point. There’s no bait and switch. People know right upfront who they’re getting because I really feel strongly about that, that working with a copywriter on an ongoing basis that way’s a very personal relationship. I never want people to think they’re working with me, but actually they’re working with Teri or Andra. I think that’s really wrong so we don’t do it that way. I tell ‘em upfront that they would be working with somebody else, but they always have the opportunity to talk to me any time during their contract about strategy stuff because I don’t expect my writers to be well-versed in strategy stuff. That’s my thing. Even if somebody’s working with a subcontractor writer, they can still contact me and talk to me about the strategy and where it goes. For other, for the one-off work, it really depends … Website copy is a minimum $5,000. It’s a minimum $2,000 for a sales page and it just goes … I just price it out based on the requirements of the project. If it’s super long sales page or super complicated or it’s going to require a lot of research or anything like that, the price goes up from there. Kira: Lacy, I know you just launched recently. Can you just share what you launched and the whole marketing launch process? How many seats did you fill? I’m always interested in how people actually fill their courses with people because it’s hard and there’s a lot of competition, especially this time of year. Lacy: Yeah, there is. It was a really unusual year for me and an unusual launch. There were some big wins and there were some less big wins. Yeah, I was launching my CIA program, which is my signature Content Intelligence Academy. It’s a course that teaches people the basic framework of my content strategy process. It shows people how to get a real firm grasp about why they’re blogging, set their metrics, brainstorm topics that their people actually want to read, and then create an editorial calendar based around their sales cycles. It was an interesting experiment. I decided to launch it using a free e-course that culminated in a webinar. People would sign up for a three … What do you call it? Email? Episode. E-course. Then the fourth piece was a webinar. That part did exceptionally well. I had over 800 people sign up for that. Lacy: Yeah, some were already on my list, but a good probably 50% were not on my list yet so that was good. I experimented with a little bit of Facebook advertising, but there was something wrong with my pixels so I don’t really know how that worked, which is terrible but true. Lacy: … absolutely tanked. I had about 10% attendance on the webinar which just blew my mind because I was using the exact same RSVP sequence, the same … The same kind of emails. Everything. Nobody showed up. That was terrible. I’m still doing the postmortem on that one. I’m thinking part of it might be the time of year because it was mid-December and then part of it might be also that we, for the first time, everybody who was signed up for the e-course was automatically registered for the webinar as opposed to asking them to opt into the webinar. That’s the other thing that I think could be a factor there. Kira: You mentioned that you had some other colleagues promoting the course as well and that actually worked for you. That caught my attention because I’ve tried to do that in the past and I’ve found typically that it doesn’t work. If they’re not invested or they’re not affiliate, it’s kind of like, “Yeah, I’ll help you,” but it’s just not the same. How did you make that work for you? Lacy: Yeah, and I want to be clear, by help me, I mean they posted on Facebook once or tweeted it a couple of times. They weren’t emailing their lists. I had one person decide to become an affiliate and email her list so that was helpful, but I think what helped was that I know some people with really large audiences so Tara Gentle sent it out for me, Beth Hayden sent it out for me. A couple of people that I know have much bigger audiences than I do, so I think that was helpful, but again I wasn’t tracking it … I should have given them a unique Bitly or something so that I could track it, but I didn’t. I can’t say. It’s a gut feeling that that worked well. I watched the numbers go up after people tweeted it. I can’t say 100% that that worked really well, but I believe it did. Kira: We interrupt this interview for a very special announcement. Rob: The Copywriter Club has our first sponsor, it’s Airstory. Before we get into what Airstory does for writers, we just wanted to share that this is actually a sponsorship we went after. We actually approached Airstory because we liked the tool so much and said, “Hey, would you guys like to sponsor the show?” We were thrilled when Joanna said yes, that they would like to. Kira, you’ve played around a little bit with the tool. How would you use it as you create the sales pages that you work on? Kira: Recently, I used it with Othello Copywriter and we were working on a sales page together. It’s a great tool to use with team members, fellow collaborators, and you’re able to piece the cards together with different sections of copy. Maybe you have a card for objections or for pain points, for key benefits, and you can piece it together and create a sales page in an easy-to-use environment with a collaborator. It beats jumping into Google Docs. My Google Docs usually look like a disaster by the time I’m done with them and I have a hard time keeping track of all the content I need. Airstory’s been a great way to stay organized, which is a challenge for me at times. Rob: Airstory has this beautiful interface. It works really well. It connects with Slack and Evernote, Typeform, even Gmail. If you want to learn more about Airstory, go to Airstory.co/club to join and start your first project. How have courses changed your business? Adding courses to just the writing product that you provided one on one? Lacy: I really like courses. I feel like I haven’t mastered the marketing of them yet. My big goal for this year was to increase the percentage of my revenue that came from courses and products and I did that, but it’s still less than 50%. I think I haven’t totally mastered that part of my business yet in terms of marketing and delivering those courses. Actually, I feel pretty confident about delivering them. That’s not the issue, but marketing them, getting them in front of the right eyeballs, filling as many seats as I want to fill. They do well to middling, but never shoot past my expectations so I’m still working on that. I’m still learning how that works. Kira: Yeah, I was going to ask you a related question. Where do you go from here building your business? In your agency side, are you going to add other writers and grow that way? It sounds like you’re going to expand upon courses and products, but do you have a growth plan that you can share with us? Lacy: Well, that’s a good question. I’m actually working with a coach in January to actually define where I’m going in 2017 so I don’t have it totally ironed out yet. There’s a couple of directions I might go. On the agency side, I haven’t wanted to grow that as much because I don’t like managing people. I don’t think it’s one of my strengths. I’ve tried to add … I have two solid writers that I adore who both happen to be my bosses at previous jobs so I know them really well and I trust them a lot. I’ve tried to add a third one a couple of times and it hasn’t gone well. But what somebody pointed out to me was that I could hire somebody to do that. I could hire somebody to manage the subcontractors and I just focus on growing … Selling people on the idea, which I could do. That’s one possibility is having somebody else be the business manager on that side and then growing it that way. Another possibility is just to continue to focus on growing the courses and the sales side of things, I mean the DIY side of things, and really focus on that. I know you guys know this. There’s like this dreaminess of having those set it and forget it courses that run on with evergreen webinars and blah, blah, blah. I’m not naïve enough to think that there’s no work that goes into those, but there is a certain appeal in having those sorts of projects and products in your pocket that you can just turn on the money machine and there it goes. Kira: Yeah, I have not mastered that yet. Lacy: No, I haven’t either, but I would like to. Kira: Yeah, for 2017. That’s the goal. How do you stay sharp? Is it just constant writing like all of us? How do you keep your edge and stay aware of trends and just push yourself and challenge yourself as the leader of your agency and with a good reputation in this online world? Lacy: I’m the perennial student so I’m always learning and I am always taking courses and following people that I find fascinating and trying to learn from different people. If you’ve done that Sally Hogshead How to Fascinate thing, both my personal and my business fascination traits are innovation so I like to be on the cutting edge of whatever’s happening. I like to try new products. I like to try new techniques. Whatever is working. I like to follow people who are doing that, who are testing things, and trying things out. I just try to stay abreast of what’s going on. I have a small group of people that I follow really closely that I think are on that cutting edge to see what they’re doing and how can I apply that to what I’m doing and things like that. Yeah, I’m big on investing in myself and my education because it’s a strong investment in my business and my clients as well. Rob: …and the way that you tell or share three different tones of voice or examples of your copywriting and then you follow it up with this really bold claim that you just happen to be a better storyteller or better at brand voice than most other people, most other writers. I think the website backs that up, but I’m curious about that. I think a lot of people don’t like to hear people stand up and own their expertise and say, “Hey, I am really good at this, you can trust me.” Have you seen an effect on your business in making a bold claim like that? Kira: I love that. I love that line, by the way. Rob: No, it’s a great page. I guess when I wrote it, I was thinking I was saying it to the client that I’m better at that than they are, not that I’m better at it than other writers. It didn’t really occur to me that other people would read it that way, but now that you’ve said that, I can totally see that. Rob: Yeah, it really jumped out at me as I was reading the page. I was like, “Wow, she really believes in her ability to write in a particular voice or to tell a story,” which is impressive in my opinion. Lacy: Yeah, well, I mean I do. I guess I’ll own that. I do. I do believe in my ability to put on other voices that way. I do think that’s my superpower. I never really thought about that. Kira: Maybe that connects to earlier. I was saying that you were this influencer/authority figure and you were like, “I don’t quite see it that way.” Maybe that’s why because we’re picking up these cues from your copy. It’s bold and strong and from an outside perspective, we see you that way. Lacy: Also, and I say this a lot to my clients, I feel like my brand and my brand voice is me dialed up to 11, so it’s me, but I’ve really put it on. You know what I’m saying? Lacy: I don’t look like those pictures every day, just FYI. Kira: What are you talking about? What are you talking about? Lacy: That took two hours in the hair and makeup chair to get me to look like that. It’s me, but it’s me dialed up to 11. Kira: I really want to know, what mistake you see other copywriters making, because you’ve been in this space for a while. As you said, you’re watching other people. What can we do differently? Lacy: Gosh. I think there’s a couple of things that I see and I can recognize it because I’ve done it or continued to do it. This is not about me calling anybody out, but rather just things that I see, both in myself and others. I know that when I started, I really undervalued what I was doing. I charged way too little and it took a long time for me to move up to a more appropriate pricing and I still feel like I’m on the way. That’s still something I battle, but I think people start out by charging too little because they lack confidence. Maybe it’s that… like we were just talking about. I can put on this persona for my brand that’s very confident and that helps me be more confident, like a circle. I think the brand really did help me build that confidence when looking the part was important, but then also once you have that, once you have some success, you feel more confident so it feeds. Another thing that I see copywriters do is that if they’re not confident, they may be trying to emulate somebody else that they admire in this space. That doesn’t work. You got to be yourself. People are going to hire you for you. You can’t keep up that façade of being somebody else for very long. It’s exhausting. Again, I feel like finding that brand that was me and then finding that confidence that came with it was super important because we all do it. I see it in every industry too. There’s somebody that you admire that’s really killin’ it in your industry, you want to be like them, right? Because they’re awesome and you admire them. It’s not even about plagiarizing or trying to steal anything. It’s just what you admire and what you want to do, but I think for writers in particular, you have to own what you are good at. I guess the final thing there that I see is people trying to do too many things. If I see a copywriter that says they’re an expert in every kind of writing, I immediately … I’m like, “Nope,” because I know what I’m good at. I’m the first person to say I don’t love writing sales pages. I know I’m not the most talented person at writing sales pages. If you got something that’s super high risk or whatever, you probably don’t want to hire me. You want to hire somebody that’s super confident in their ability to write sales pages whereas if you need a blog? I’m you’re gal. I know how to do that. I’m very confident in my abilities there. I’ve figured out that nicheing is good. Rob: Lacy, you may have already answered this with that last question, but in addition to things like price yourself right or don’t try to be somebody else, if you could talk to just starting out as a writer, Lacy, and say, “Hey, here’s something that you really need to know. This is the secret,” what would that be? Kira: Before we wrap, you just mentioned you got lucky. What do you mean by you got lucky? Lacy: Well, I believe in luck to some degree. Luck is what happens when you work hard and you put yourself out there. When I first started the ghost blogging thing, I was following a business coach locally here in Denver and I had paid the bare minimum to work with her. I don’t even remember what it was. It was like, I don’t know. Something really small. $12.95 a month to be on her coaching calls once a month or something like that. It was teeny, but I was just so hungry for information and how to make this work. Anyway, so I sat on the group coaching call. I’m making this huge leap and I’m putting myself out there as a ghost blogger and if any … I remember being terrified like, “If anybody wants to talk to me about it or if you want to get on the phone,” and she actually referred my first client to me and that was what gave me the confidence to … Like, “Okay, if the coach believed in me then I could believe in myself and I could keep going.” Getting that first client is getting over the hump. I think getting lucky in that sense is just that I was in the right place and talking to the right people to find that first little push I needed, that first success I needed to go in the right direction. Rob: This has been an awesome discussion, Lacy, and a couple of ideas that I’ve pulled out of what you’ve shared that I’m definitely going to steal and use. If people wanted to connect with you online, where would they go? Lacy: I’m at LacyBoggs.com. Pretty easy and I’m on Facebook and Instagram and not so much Twitter. I mean, I’m on there, but I don’t really hang out there. Yeah, and I have a free library of resources. LacyBoggs.com/library. It’s where you can sign up for that which just has a ton of stuff in it that I’ve been collecting over the years. That’s a good place to start. Rob: Fantastic. Thank you so much for your time. Lacy: My pleasure. Thank you. Rob: You’ve been listening to The Copywriter Club Podcast with Kira Hug and Rob Marsh. Music for the show is a clip from Gravity by Whitest Boy Alive, available in iTunes. If you like what you’ve heard, you can help us spread the word by subscribing in iTunes and by leaving a review. 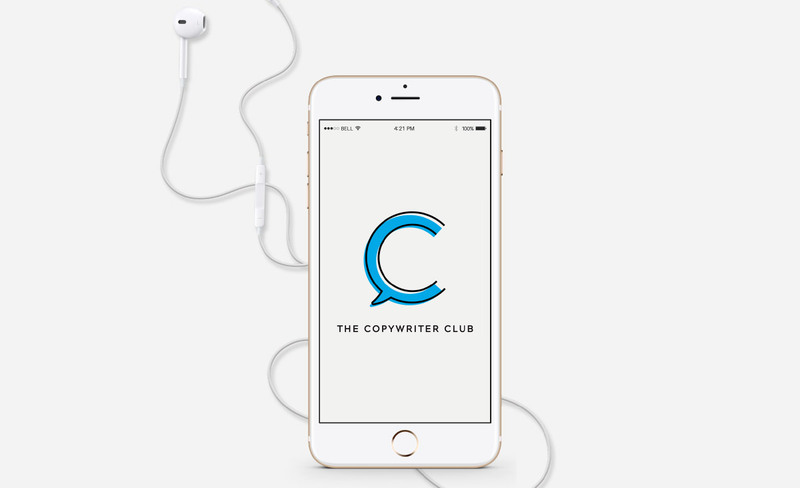 For show notes, and full transcript, and links to our free Facebook community, visit thecopywriterclub.com. We’ll see you next episode.